LOCATION, LOCATION, LOCATION! 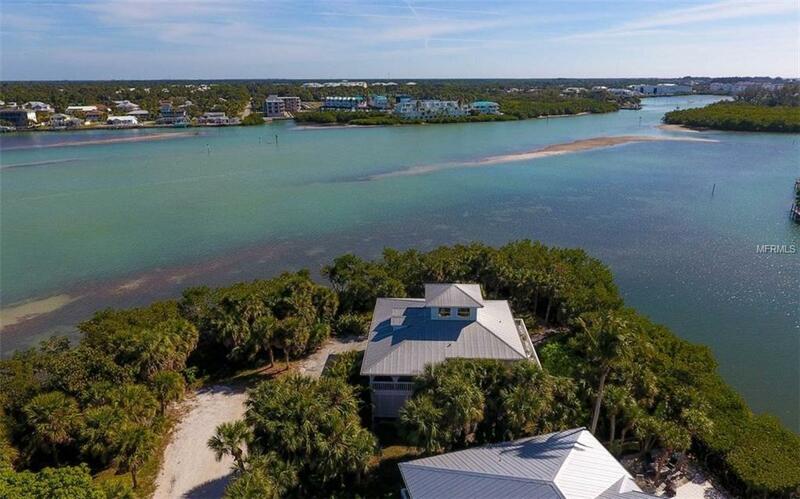 VIEWS IN EVERY DIRECTION & DEEP BOATING WATER WITH DIRECT GULF ACCESS from this oversized corner lot on a quiet dead end street. 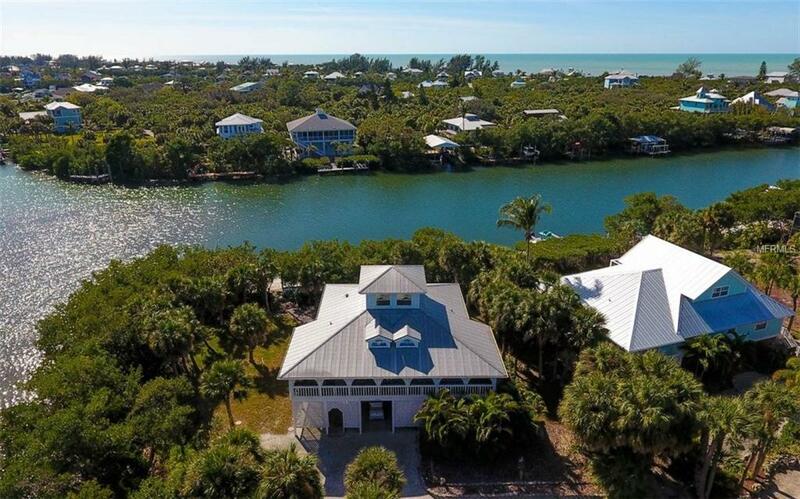 This uniquely private PALM ISLAND home offers beautiful hardwood floors in the main living areas, a remodeled kitchen with granite countertops, wood cabinets, a double oven and a large seating area with a pass through to the living room. The windows are adorned with high end Plantation Shutters while the porch wraps around the home offering privacy and plenty of room to read a good book or have a nice conversation with a friend. 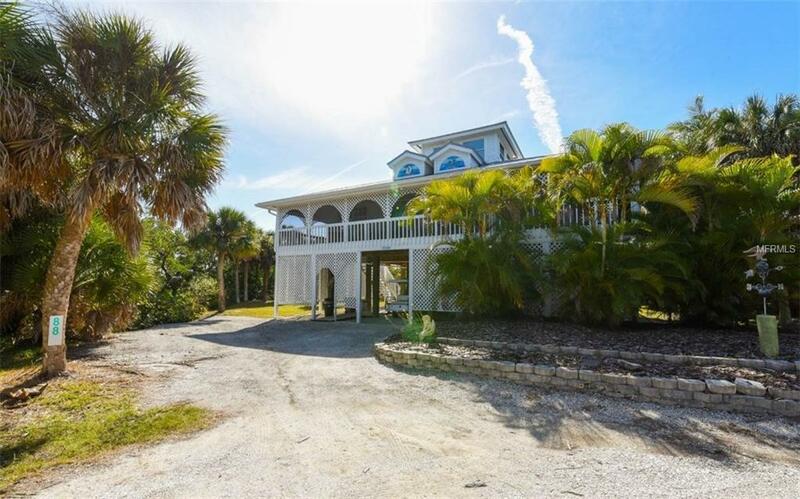 Enjoy the incredible views of the Gulf from the loft which could work as a nice office, extra den or bunk room. Take the boat out from your private dock located on the "Palm Canal, an expansive canal with direct access to the ICW in just a quick minute. There is plenty of room for a large, private pool with incredible, panoramic water views, should you desire. Palm Island offers amazingly quiet beaches which are filled with colorful shells, sharks teeth and sea life and presents an easy going-laid back way of life with the option of high tech conveniences and easy access to the mainland. 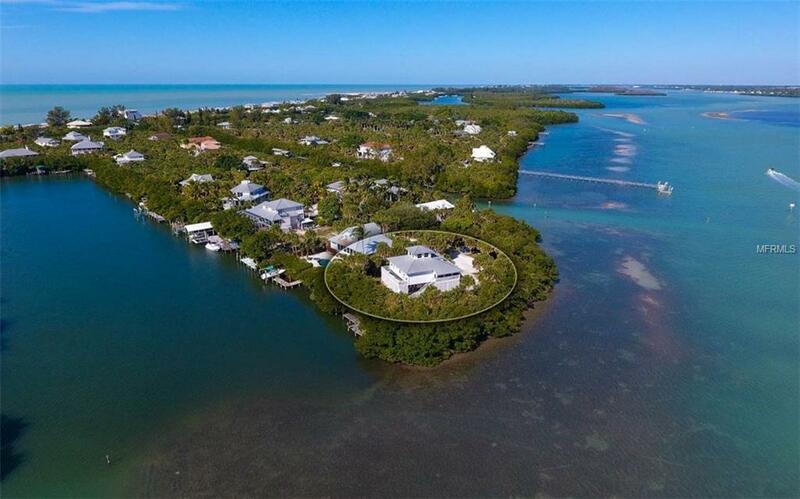 If panoramic views, privacy, deep boating water with no bridges to the Gulf of Mexico are something youre looking for, this could very well be the island retreat for you.